If there's a single smart home product category that's gaining steam in 2017 it's the smart doorbell. Ring and August have been in the space for a while, but new players are emerging. Last month it was Nest, this month it's Amazon. CNBC reports that Amazon is developing a smart doorbell that would grant delivery people one-time access to deliver products and goods inside your home. This sounds a lot like what August has been plugging away on for a while. 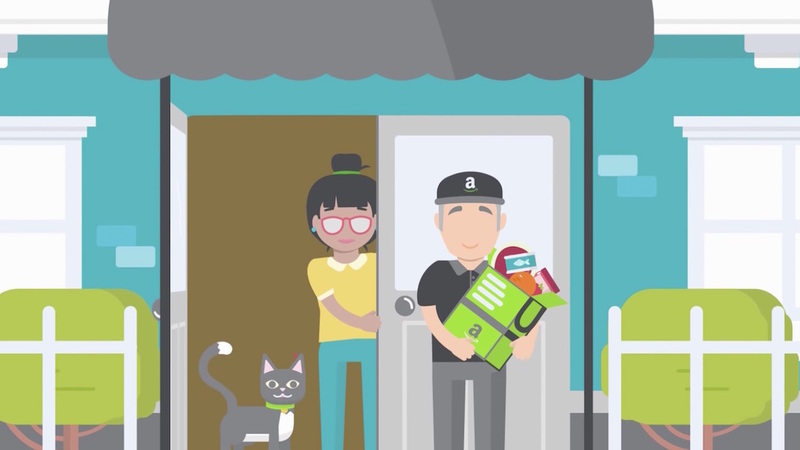 August and Postmates have collaborated on a service that allows deliver people to gain access to your home with a one-time key so that they could drop off products and goods inside. Last month, August announced that Walmart would be piloting a similar service. As more and more people turn to online shopping, there are more packages sitting outside doorsteps, where bad weather can damage them and poachers can steal them. According to August, 11 million Americans had a package stolen last year. This is obviously a problem, and companies like Amazon, August and Walmart seem to believe the solution is letting a delivery man temporarily gain access to your home. Amazon is allegedly partnering with Phrame, a company that makes smart license frames that enable access to your car's trunk by deliver people, on this new service. While we don't exactly know how this service will work, we can speculate based on how both Phrame and August's delivery services work. What's likely to happen is when a delivery person arrives at your home they'll get a one-time code that'll unlock your door. You'll get a notification on your phone that a delivery person is in your home, after which that code will become useless. Like Walmart's system, it's possible that if you have other smart devices, like a smart camera, you can watch the delivery person in your home automatically. Amazon specifically has a service that allows you to receive photo confirmations of your package being delivered, and it's likely that could return here. We don't yet know when or how much an Echo Doorbell could cost, but it's clear that the doorbell - and access to your home, in general - is where the smart home industry has set its sights.